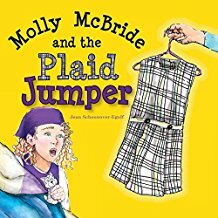 The Molly McBride series of picture books by Jean Schoonover-Egolf are a delightful addition to the world of Catholic children’s literature, combining the realities of life as a little girl with the promotion of vocations to the religious life. 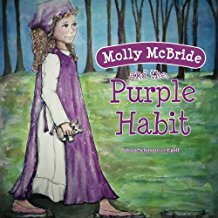 In Molly McBride and the Purple Habit, five-year-old Molly loves to wear the purple habit her mother made her so that she could look like the members of her favorite religious order: The Children of Mary Sisters. For her big sister Terry’s first communion, her parents want her to wear a fancy dress, but she wants nothing to do with it. All she wants to wear is her favorite purple outfit. When it’s time to leave and Molly still hasn’t changed, she ends up getting her wish. As it turns out, the Children of Mary Sisters are at the First Communion and Molly fits right in. 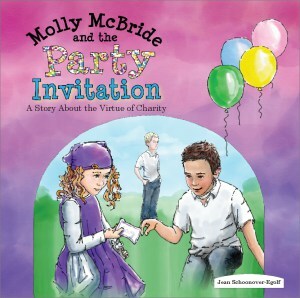 In the third book in the series, Molly McBride and the Party Invitation, Molly is turning six. 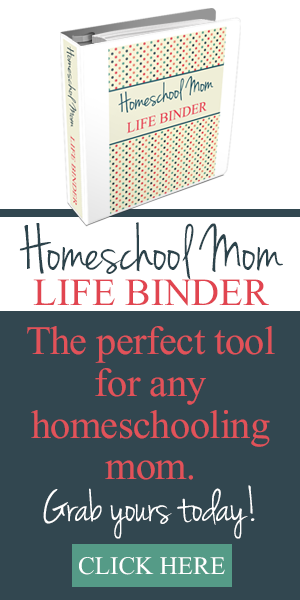 Her mother says she has to invite everyone in her class, but Molly does not want to invite t he class bully. Fr. Matt preaches about Jesus going to a party with people nobody liked and how Jesus would talk with outcasts such as lepers and the Samaritan woman. Molly learns a valuable lesson about being kind to those who nobody wants to associate with. 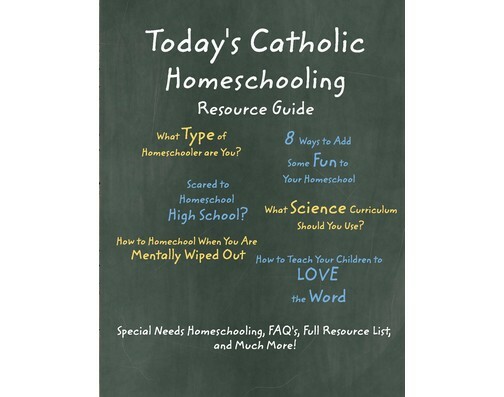 My only caveat is that if you have a homeschooled child who suffers from fear of missing out as her friends go to traditional school, you might not want to read the two school-related books. Otherwise, all three Molly McBride books are highly recommended!